Have a question on Rio 5-Door? Rio 5-Door is available in 9 different colors - Sienna Brown, Smoky Blue, Clear White, Single Red, Platinium Graphite, Aurora Black Pearl, Silky Silver, Most Yellow and Urban Green. Watch latest video reviews of KIA Rio 5-Door to know about its interiors, exteriors, performance, mileage and more. What is the price of KIA Rio 5-Door? 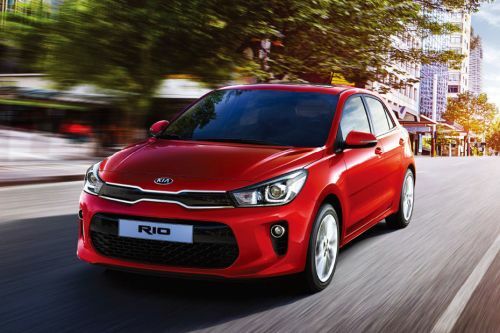 On road prices of KIA Rio 5-Door in starts from AED54,500 for base variant 1.4L Basic, while the top spec variant 1.6L Full Option costs at AED67,500 . What are the colors options available in KIA Rio 5-Door?